Some Cycle Facts & Some Tips To Stay Safe. The 2013 figures from the Think! The number of cyclists killed increased by 10% from 107 in 2011 to 118 in 2012. The number of cyclists reported to have been seriously injured increased by 4% from 3,085 in 2011 to 3,222 in 2012. Pedal cyclist traffic levels are estimated to have risen by 1.2% over the same period. Most (92%) of these accidents involve another vehicle. · You should never ride more than two abreast – the safest way to ride as a family is with your children IN FRONT, and you behind. Let your children cycle about a meter out from the curb, and with you following behind, slightly further out. This way, you can give instructions, and create space between traffic and your children. If mum and dad are both out, have one parent head up the front too. · Always cycle with traffic, on the correct side of the road, never cycle into traffic, even if the roads are quiet. · Always have front (white) and rear (red) lights fitted to your bike, and check that these work before setting off. · Don’t overload a rucksack or backpack, you could reduce your ability to maintain your balance. · Wear a properly fitting crash helmet. · Riding on the road is scary, consider getting your kids confident and trained young . 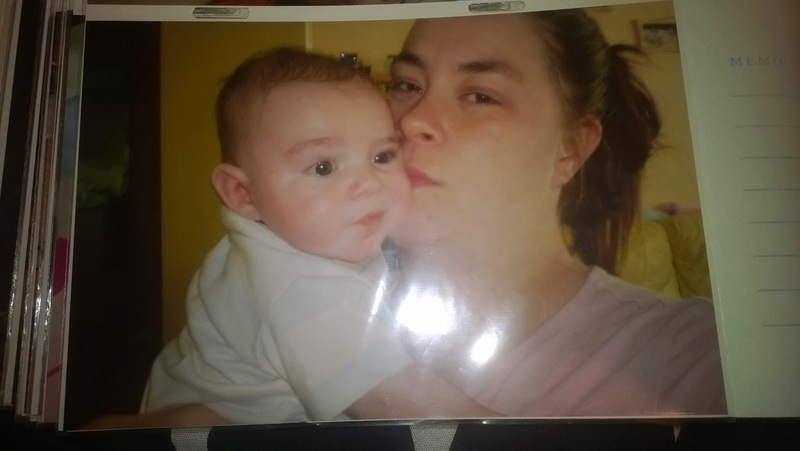 · If you’re playing out in the street / close / garages / park / woods / to and from school. 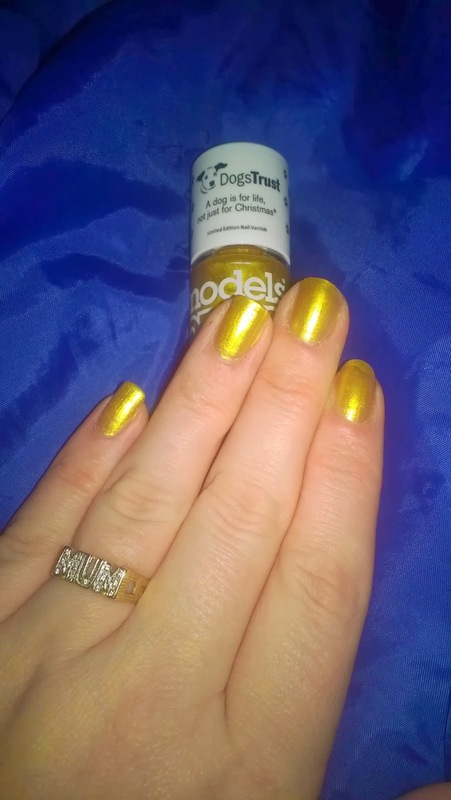 I was super lucky to win this stunning shade from a blog competition recently. 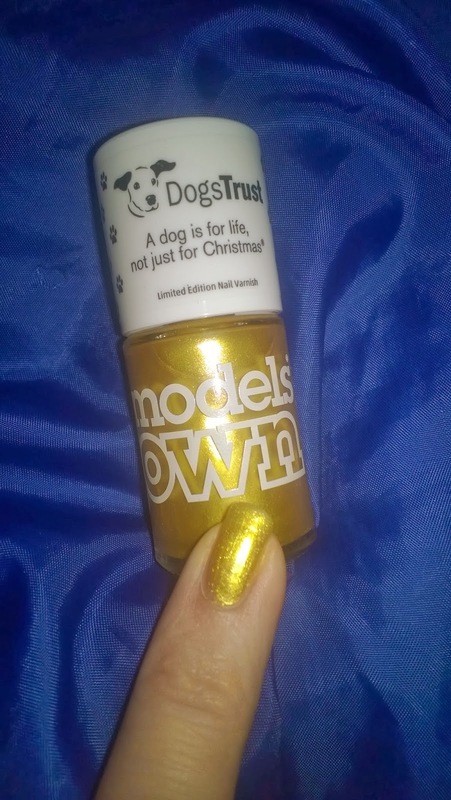 To celebrate 35 years of the digs trust iconic slogan “A dog is for life, not just for Christmas®”, they have teamed up with Models Own to create a limited edition 25 Carat Gold nail varnish. Priced at £5.50 (+ £1 P&P), all proceeds will go straight to the dogs trust. I've looked at you today and I still can't believe your mine has it really been 7 years since you came it to my life. Words can not explain how much I will utterly love you forever. It was hard becoming a mom, finding out over half way I was having you. Battling demons when you was born. I've never felt I was good enough. I know I can't give you everything you want but I will stand by you, make you laugh, wipe your years, be a shoulder to cry on, soothe you when you are ill, wipe up your grazes, be there to tuck you in bed. I hope you will always know I love you more than anything in the world. Last week we made some yummy cakes in half term, they was very simple and easy to make. Preheat the oven at gas mark 4. Mix the butter, sugar and cocoa powder until fluffy. Add the two eggs and add the flour bit by bit until its a smooth batter. Add mixture in to cake cakes and cook for 12-15 minutes. 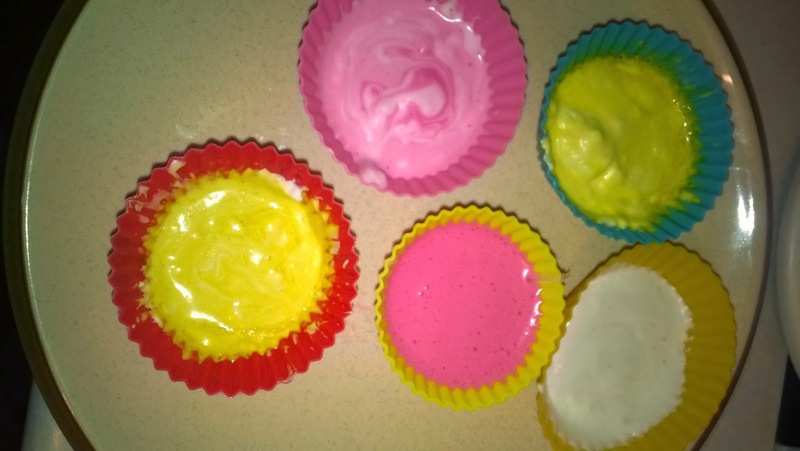 Once cool add the butter and icing sugar together until you have a paste, add a few drops of food colouring and mix well. Add the icing to the cakes and decorate with love hearts. I was given some samples from The Hut a leading online department store with best prices on a huge range of branded products. It has a massive range of products to cater for everyone needs. 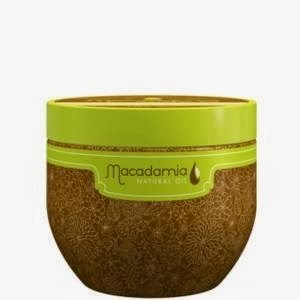 I've always been very interested in the macadamia range, I just haven't got around to trying any of there products yet. 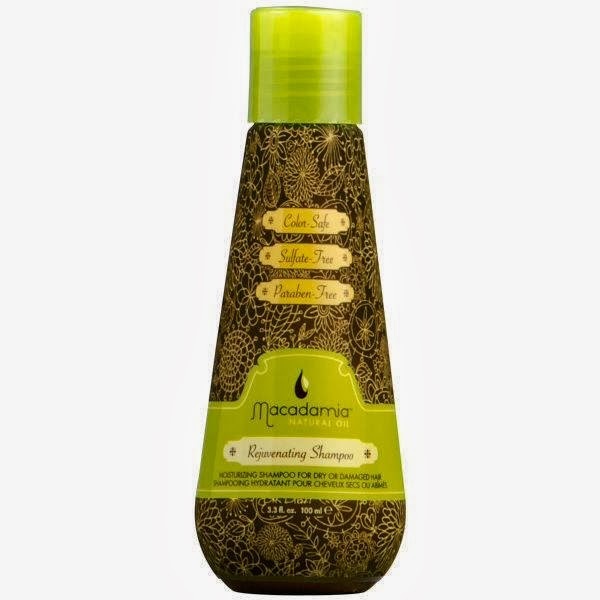 Rejuvenating shampoo - I liked the feel of the shampoo after I used it. My hair was left soft and smooth after a wash. I did have to re- rinse though as it did feel like it stuck in to my hair. The shampoo itself was a good thickness, lathered well and smelt really nice. 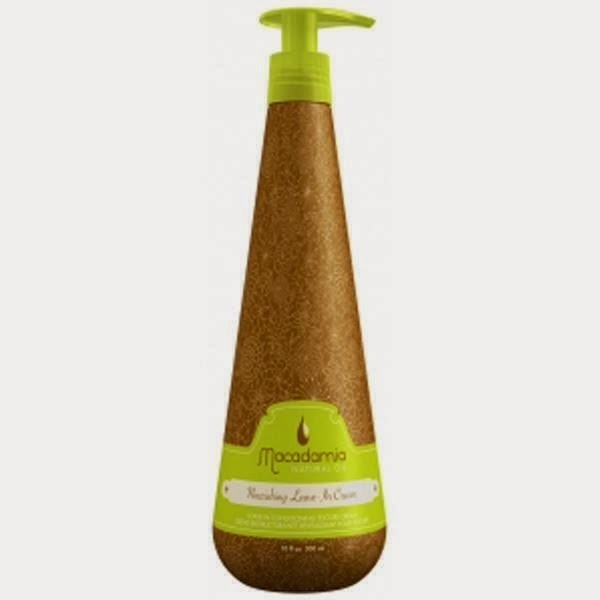 The Rejuvenating Shampoo gently cleanses the hair while weightlessly replenishing moisture and protecting the hair from environmental elements. Deep Repair Masque - I rarely use masques on my hair so this was a treat. The formulation of Macadamia Oil and Argan Oil are combined with tea tree oil, chamomile oil, aloe and algae extract, which work together to replenish your hair of any lost nutrients and restore your hair with natural goodness. Again the smell is really nice, not to strong and it holds in your hair. After I blowed dryer my hair it had a very glossy silky finish. It really hydrated my hair and gave it a boost of life. I think I will repurchase this for future use. Nourishing Leave In Cream - This cream smells divine and is wonderful for smoothing and softening the hair. I didn't need to blow dry or straighten after using this. Only problem is a little is needed. It did make my hair rather greasy the next day and I had to wash it again so less is definitely best. 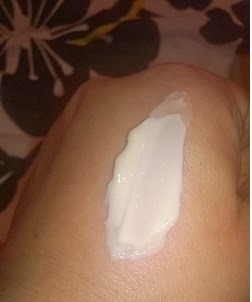 Reviving Curl Cream - I had a friend try this as I don't have curly hair, my hair is to thick to manage it. 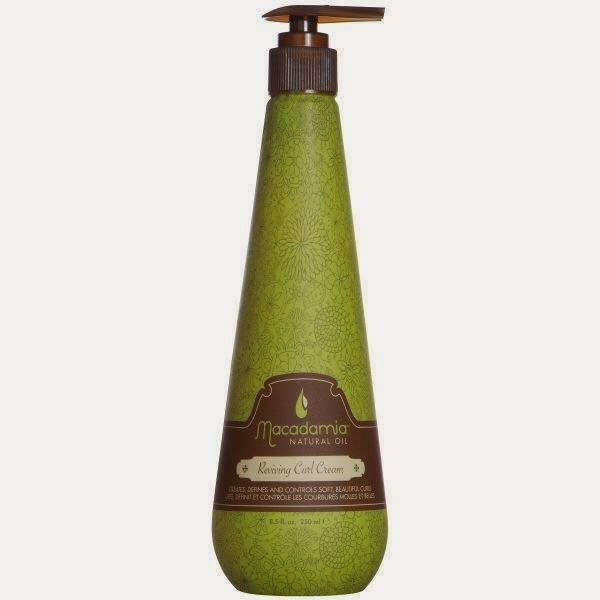 Bold and define your curls with Macadamia Natural Oil Reviving Curl Cream. Specially formulated for wavy or curly hair, this nourishing cream smooths frizz and flyaway, giving you beautifully soft and defined curls. Your hair will be left wonderfully glossy, whilst the UV protectors prolong the life of coloured hair, helping it to maintain its vibrancy. My friend liked the texture and consistency of the product. The first time she said her hair felt heavy after like it had really clogged in her hair, the next time she used a tiny amount and her hair was frizz free and her curls quite defined. Personally I've always thought the macadamia range was really overpriced, after testing them out myself. Its a product that you don't need a lot of so In theory they will last you a lot longer than your normal products. I saw this shared on Facebook a while ago and i thought it was a great idea. 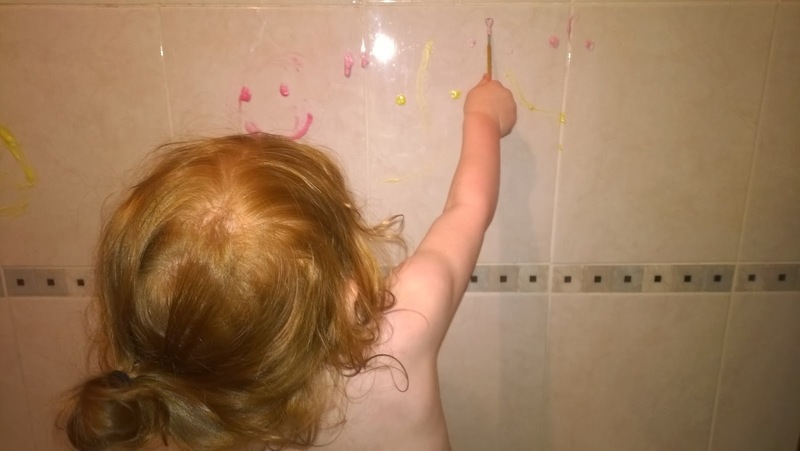 A great messy activity for in the bath. All you need in shaving foam and food colouring then you mix a bit of food colouring in with shaving foam and there, you have your bath paints. I put ours in silicone cake cases as i thought it would be easier if it dropped in the bath and for them to hold. I gave them a brush and they was happy until the water went cold. 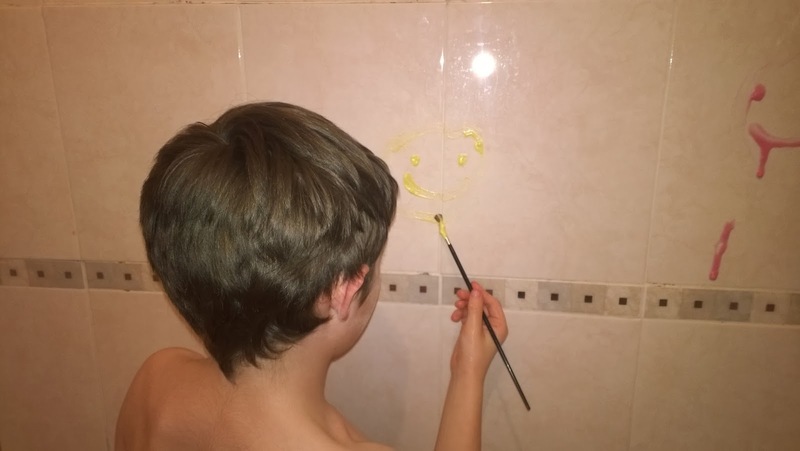 Then it just wipes off your tiles with a sponge. Raiden was really excited to be asked to review the new Trash Packs from Flair. This time the gross gang is on the move with the latest Trash Pack instalment. 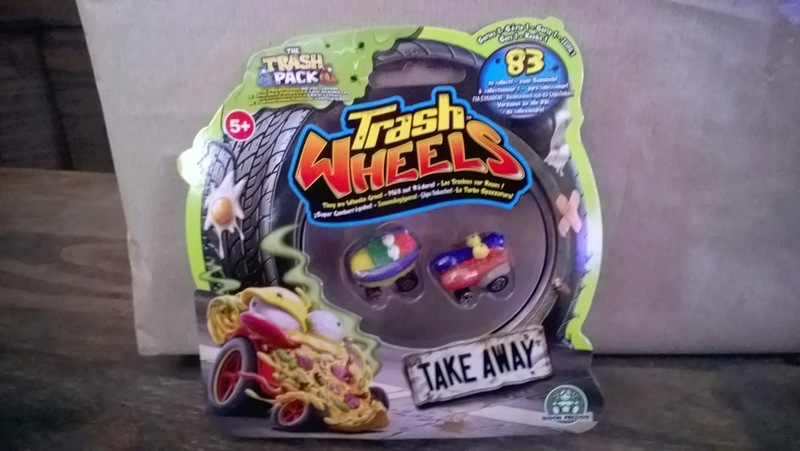 Kids will have a ‘wheely’ gross time racing their Trash Wheels vehicles. He received some of the trash packs for Christmas so he was super excited to receive these. The Wheels Junk Yard playset was pretty easy to build, Raiden did 80% of it! 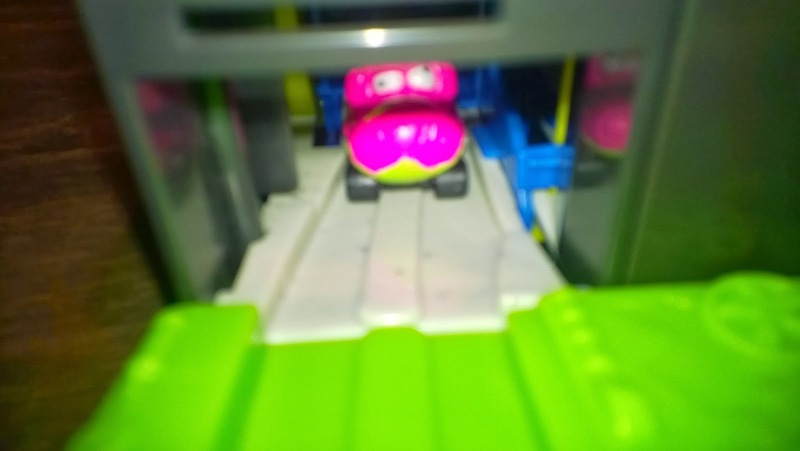 He struggled with the ramp bits, he couldn't join them together. Overall once built the playset is pretty sturdy. 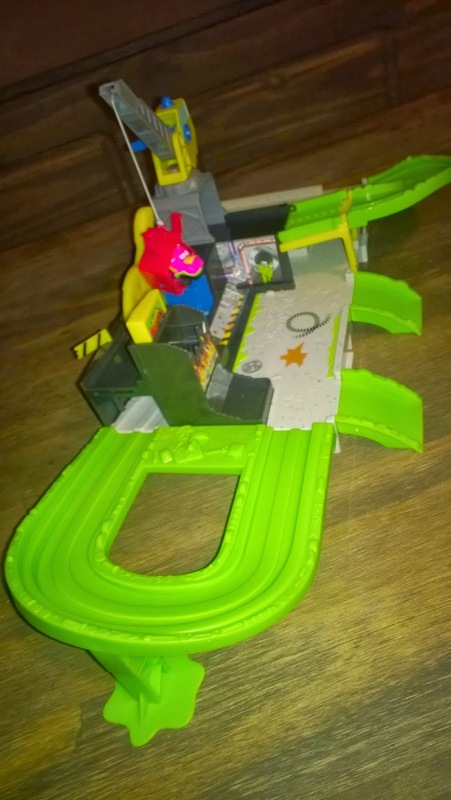 There is a few ramps that the cars can go up and down the ramps and do stunts. 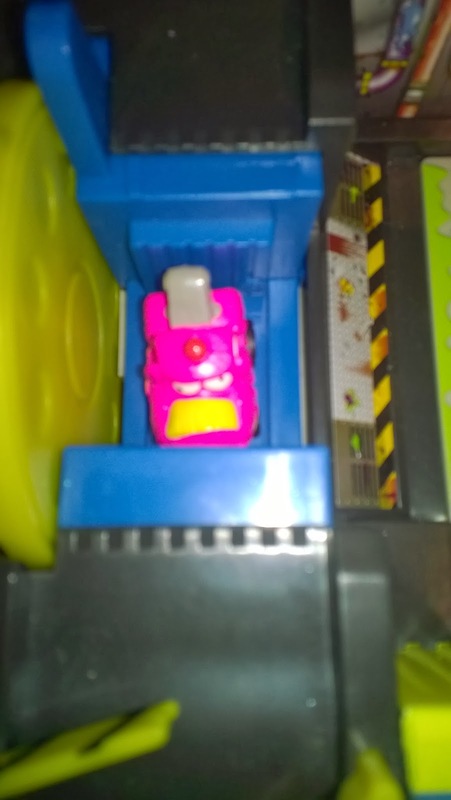 There is a crane and a crushing yard where you can pick the cars up and pretend to crush them, but they launch though a secret compartment. Then you can see it pretend to become a piece of scrap metal. 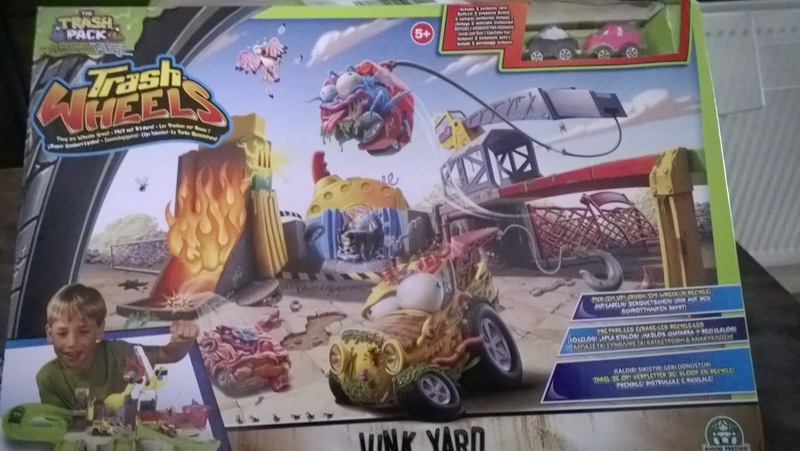 There is a section you can store all your trash wheels and you can burst though the scrapyard gate. 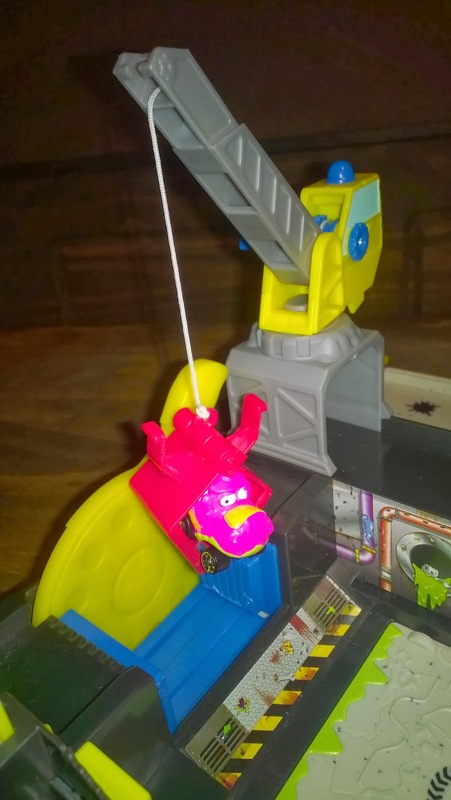 I liked the attention to detail and he enjoyed playing with it. 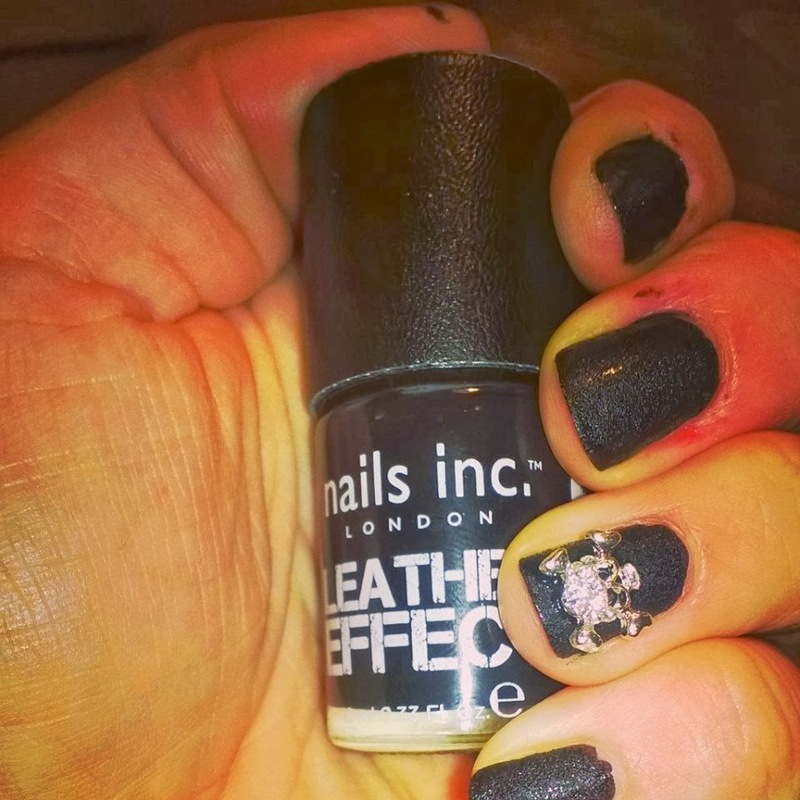 This weeks nails was leather and skulls by nails inc. This stunning shade applies glossy but will dry down into a chic leather look texture. The polish features a limited edition leather effect cap. 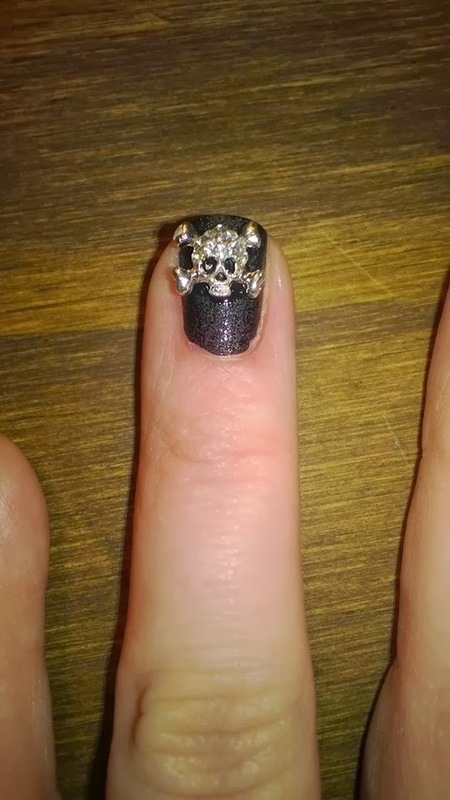 This fashion forward collection also includes 4 crystal skull embellishments and glue so that you create a unique nail art look at home. 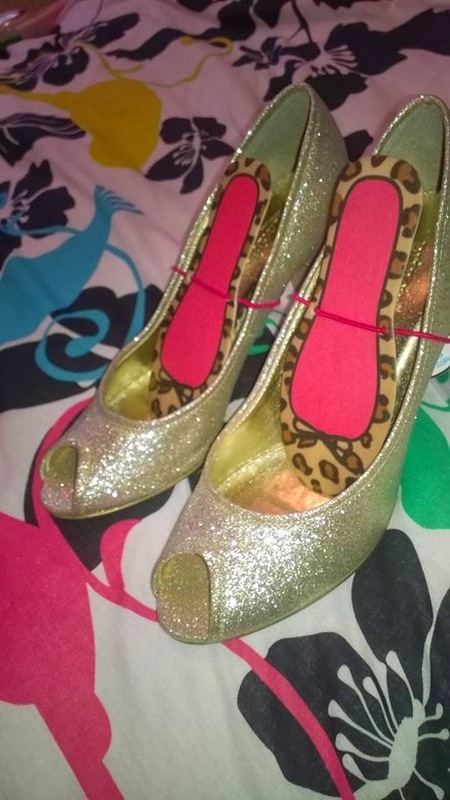 Are the Peep Toe Heels that you live in for the office getting a little cheesy but you love them too much to chuck them out? Fear no more. 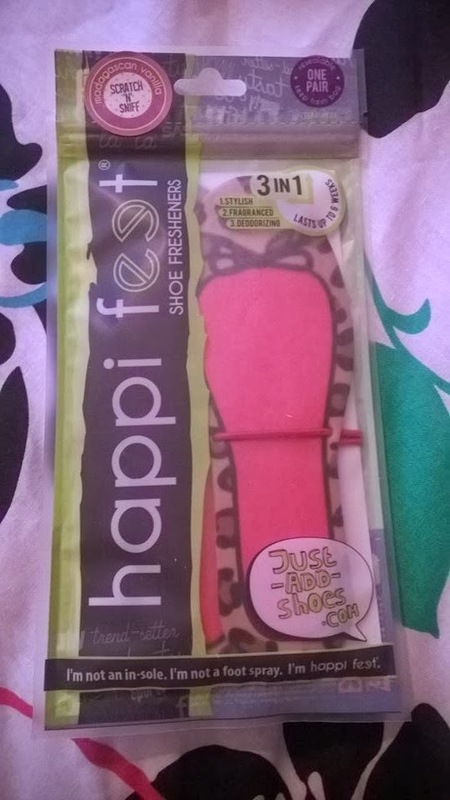 Happi Feet Shoe Fresheners have arrived. Fab, simple, effective and easy to use. 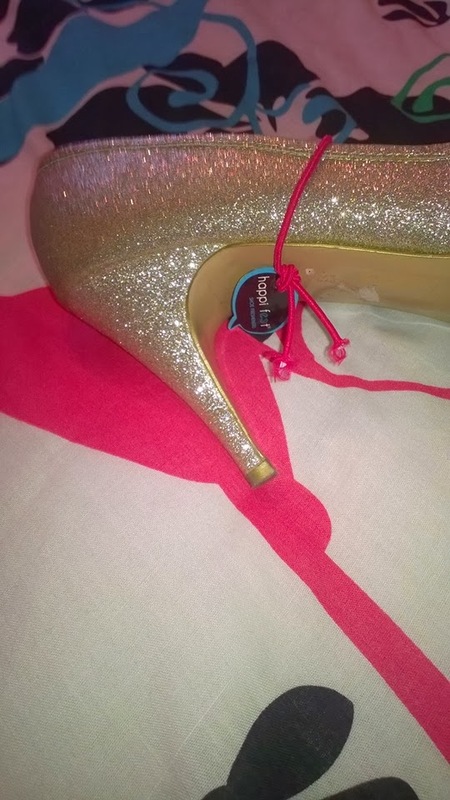 You pop the fragranced fresheners into shoes and they are secured with a band allowing the air to circulate around the insole. The fragrances in the fresheners are, Freshly Laundered, Madagascan Vanilla, Japanese Cherry Blossom and Caribbean Beach Breeze. 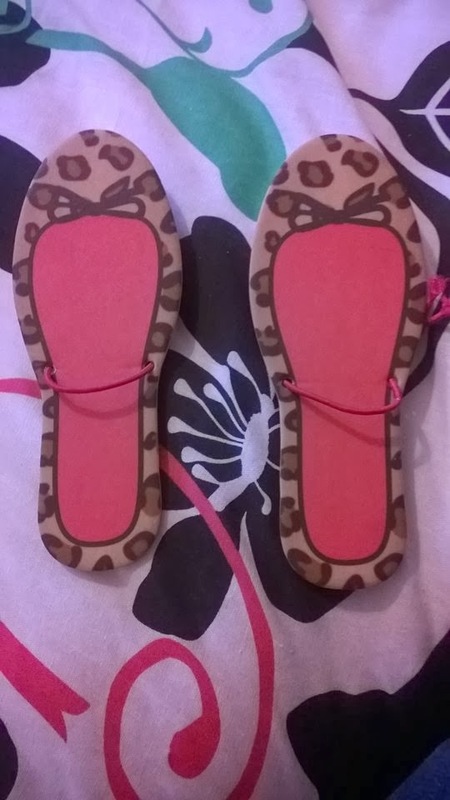 They come in a funky variation of lovely designs which perk up a dull looking shoe. There is something for everybody in the designs. When not in Use you can seal them back into the resell bag or pop/hang them in your show cupboard to banish bad smells. I love Bannatyne spas, I'm actually booked in for a chocolate massage on the 1st march and I can't wait. Its actually one of the things on my bucket list to do this year. Entrepreneur and star of Dragon’s Den Duncan Bannatyne has launched his exclusive facial skin care range into Tesco stores after signing a deal with the supermarket to get the range into 16 of Tesco’s premium beauty departments across the UK. You could only buy this range in Bannatyne Health Clubs before. So now you can add it to your shopping basket and pamper yourself at home. Perfect for normal to dry skin, the key ingredients in this range help treat signs of ageing, reduce the visible signs of wrinkles, brighten skin and improve firmness with peptides. For normal to combination skin, this anti-ageing skincare range has been formulated to treat all skin concerns including congestion, acne and hormonal/stress-related breakouts, with key ingredients including watercress, ivy and Icelandic moss. Specifically created to prepare the skin for further treatments, this skincare range consists of exfoliation and anti-ageing products - ensuring that all other products last longer and work more effectively as they have no ‘barrier to cross’. And what’s more, regular and good exfoliation ensures the skin glows with radiance, minimises dehydration lines and removes flaky skin. 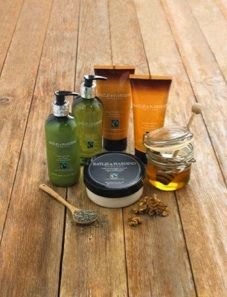 Packed full of skin-saving ingredients to moisturise and tone the skin, these body and soul products combine a unique blend of essential oils to help uplift mood, rebalance the mind and soothe aching muscles. 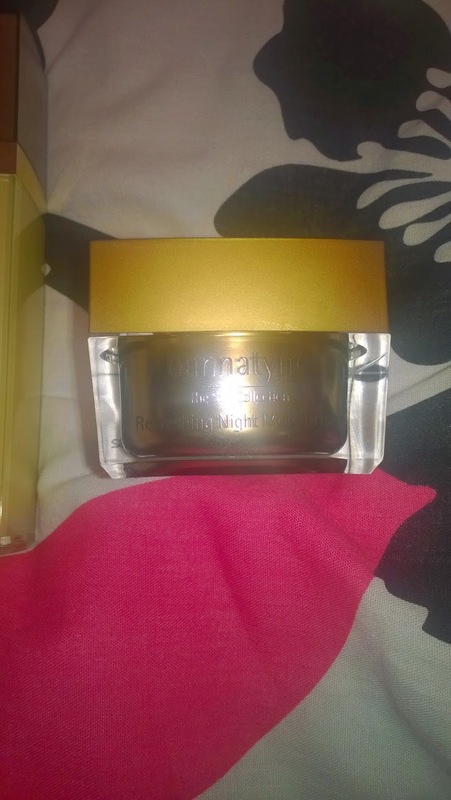 We got sent two items from the range to review first was the Replenishing night moisturiser. I love the mild scent of this and it has a very creamy texture, it doesn't feel thick when its put on and absorbs very quick. It felt very light once absorbed on my skin which is great. You apply before bed, avoiding the eye area and sleep. Simples - I liked the gold packing and the square tub its pretty and eye catching. • Protects from daily environmental pollutants. 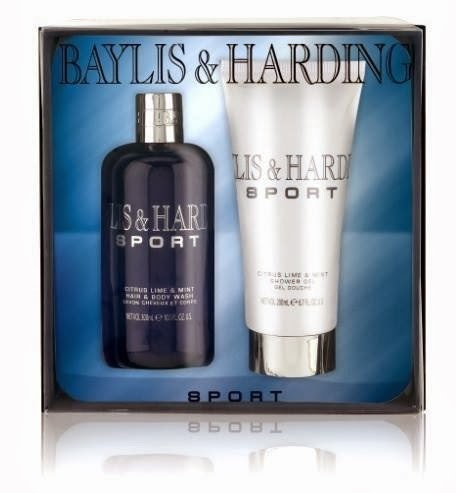 • Attracts moisture into the skin and helps lock it in. • Oxygenates and improves skin radiance. 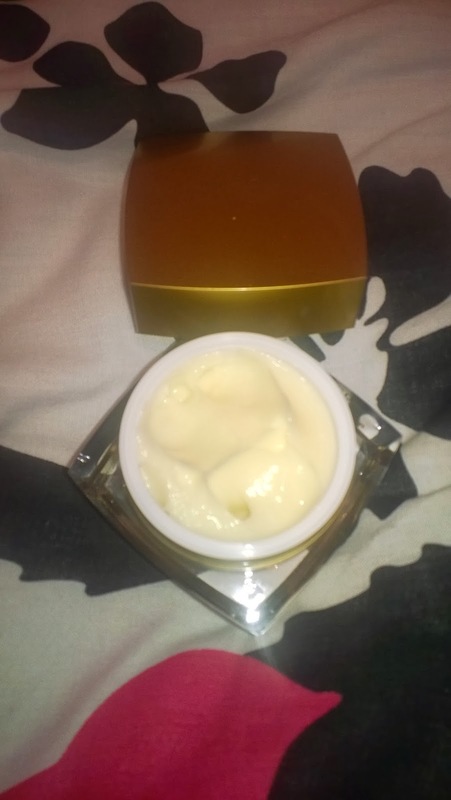 • Works with the skin to heal and repair while the skin is resting and most receptive. 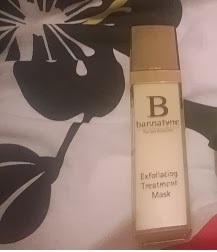 Next up to review was the Exfoliating Treatment Mask. The scent again is pretty mild. The mask stung the first time I put it on for a couple of seconds. It faded and absorbed quick. 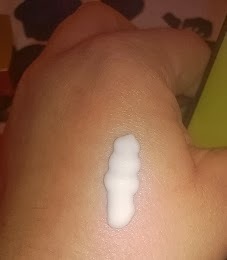 My skin was very smooth once I had rinsed it off. The mask works by removing the dead skin cells to reveal smooth new skin. • Removes dead skin cells to reveal luminous new skin cells. • Allows penetration of all other products to ensure they last longer and work more effectively. • Rebalances the pH level of the skin. 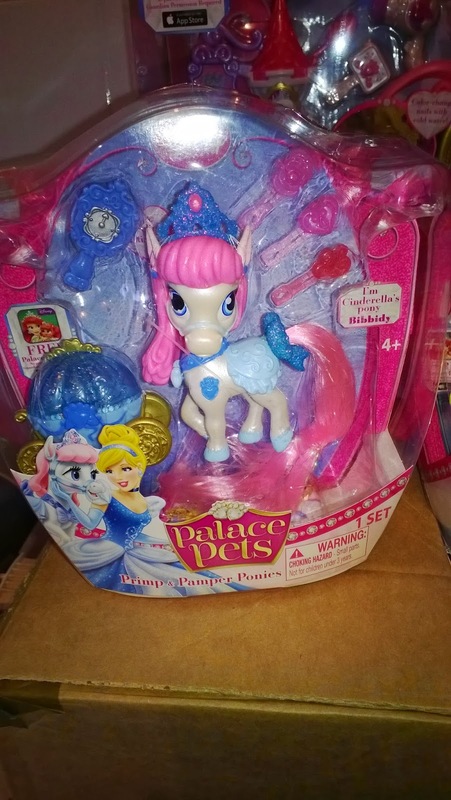 Lexie has recently gone crazy on Disney Princesses, so we was super thrilled to be sent the new The Disney Princess Palace Pet Pamper & Beauty Salon Set Character Options new range of Disney Princess Palace Pets. Little girls can now collect all the pet friends belonging to their most loved Disney Princess. 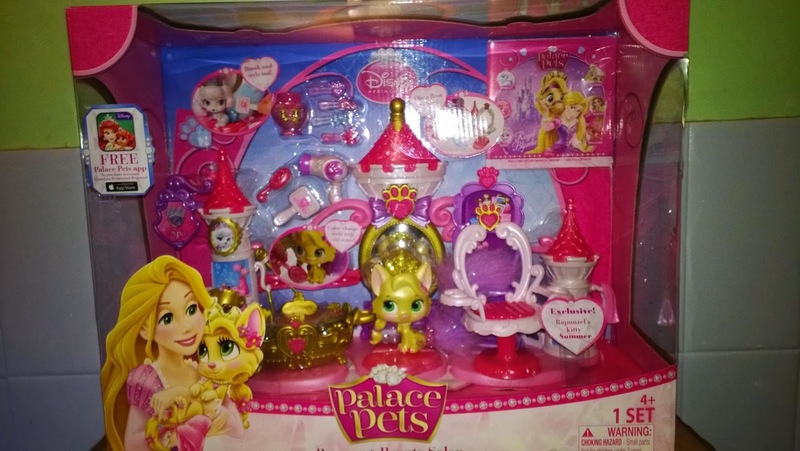 This set includes everything you need to pamper and preen the new Palace Pets. 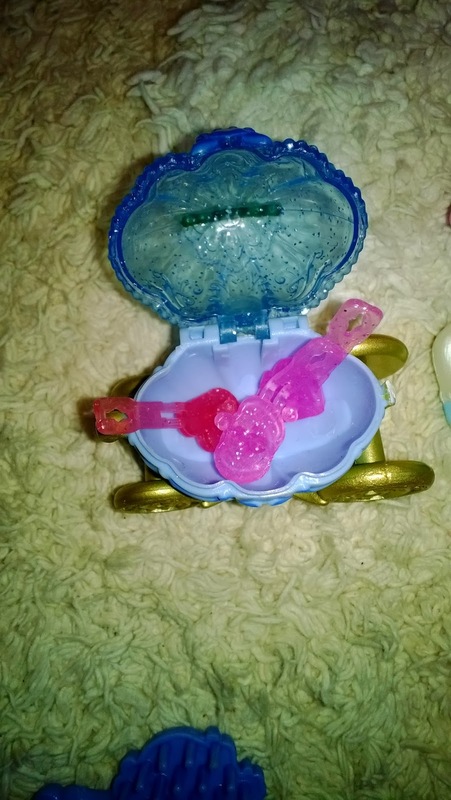 Included in the set comes Rapunzel’s kitty with magical colour change features that make her nails pink and pretty makeup appear and disappear with cold water. Lexie loved this feature and poor kitty has taken many baths and been dunked in the sink over and over. 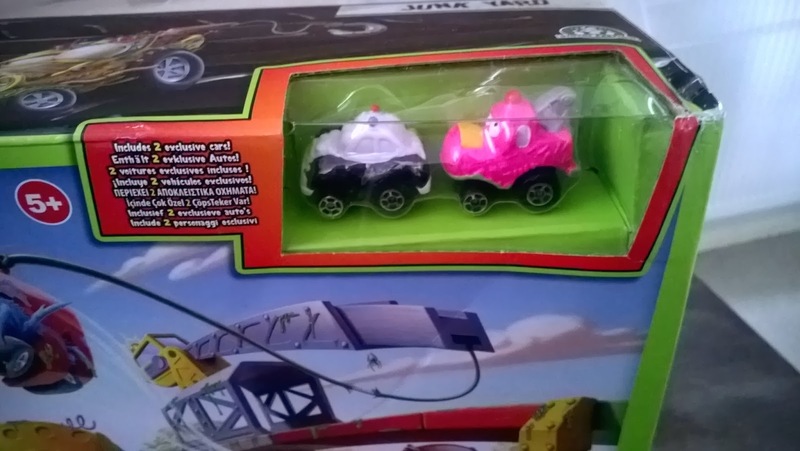 The set is pretty sturdy but for some reason the bath and chair connectors come off pretty easy, so you have to keep putting them back on. We loved the detail of the bath, it has bubble effect with blue so it looks like a real bath . There is a movable chair with a brush and hair dryer where you can give the pets a blow dry. 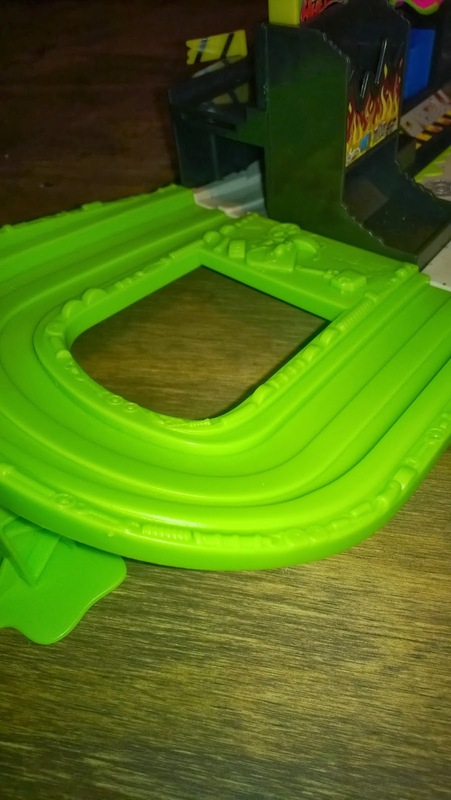 There is slots where you can add the little slides and a cool vanity mirror that the pets can see there finished look. 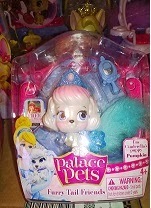 We also received a Disney Princess Palace Pets Furry Tail Friends - (Pumpkin) she comes with a furry tail and a brush you can use to brush it. A removable glitter tiara and the head moves from side to side. RRP £5.99 There are six to collect - Beauty, Berry, Blossom, Teacup, Treasure & Pumpkin. 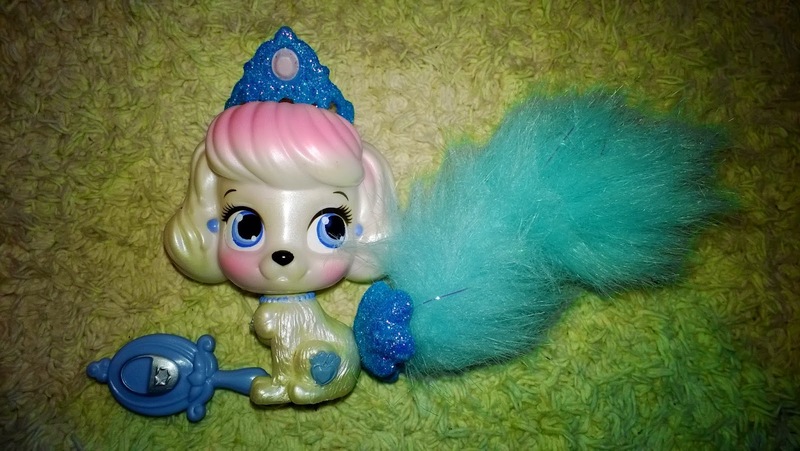 She comes with a huge brush-able tail, a brush, some hair slides and a Cinderella pumpkin you can keep the slides in. 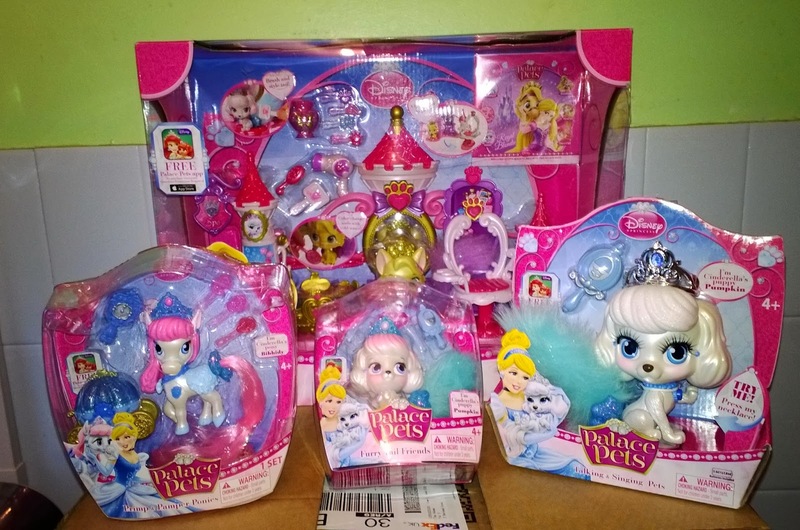 RRP £7.99 There is three to collect Bloom, Petit & Bibbidy. 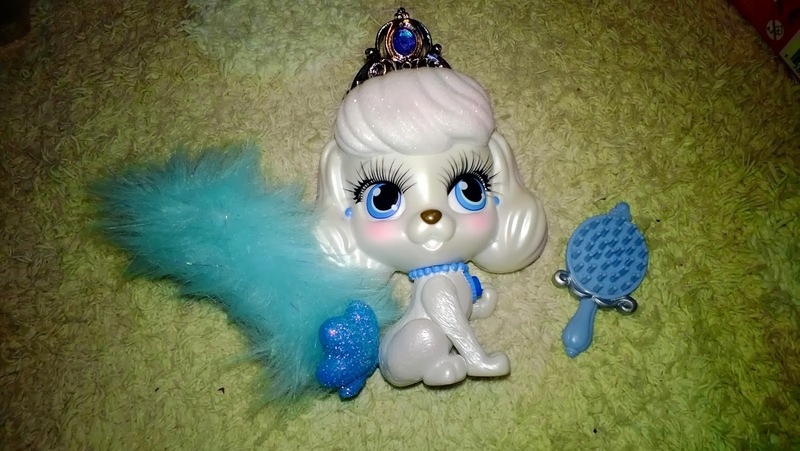 Last of all was Disney Princess Palace Pets Talking and Singing Pets - ( Pumpkin ) pumpkin says several different phrases with the press of her necklace, comes with a brush. Love the sparkly furry tail and the glittery tiara. 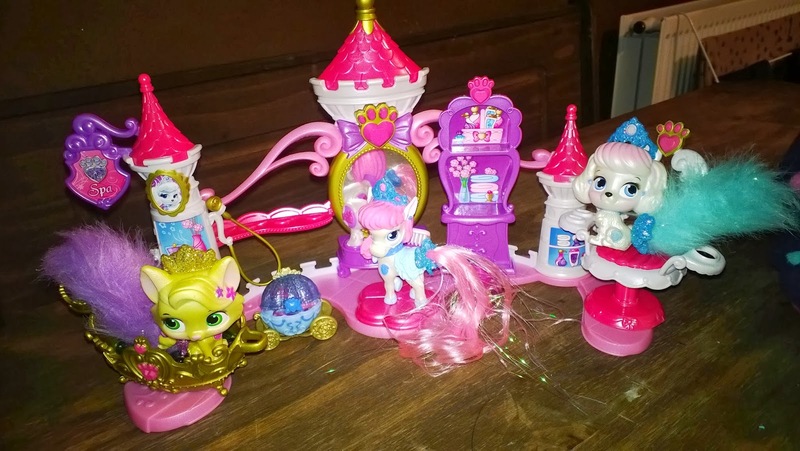 RRP £12.99 There is three to collect Berry, Treasure & Pumpkin. Lexie loved the set and the different figures, she's taken them everywhere in her bag when we go out. The detail is amazing on them and they are great for collecting the whole set. 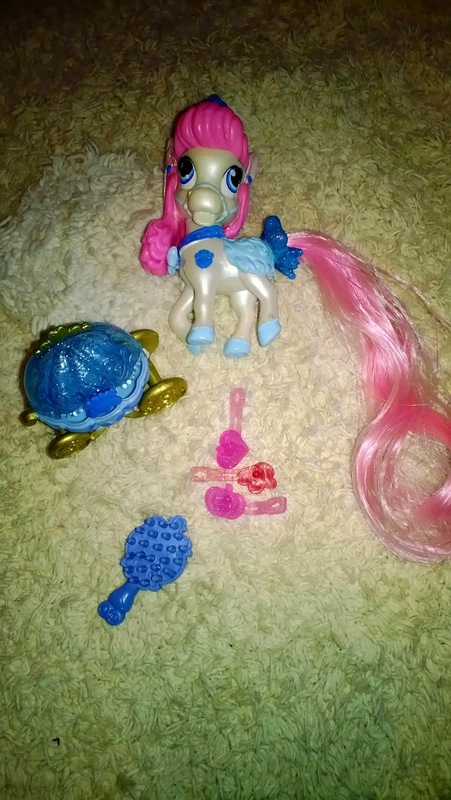 We already have brought Ariel's pet ( Treasure ) to add to her collection. 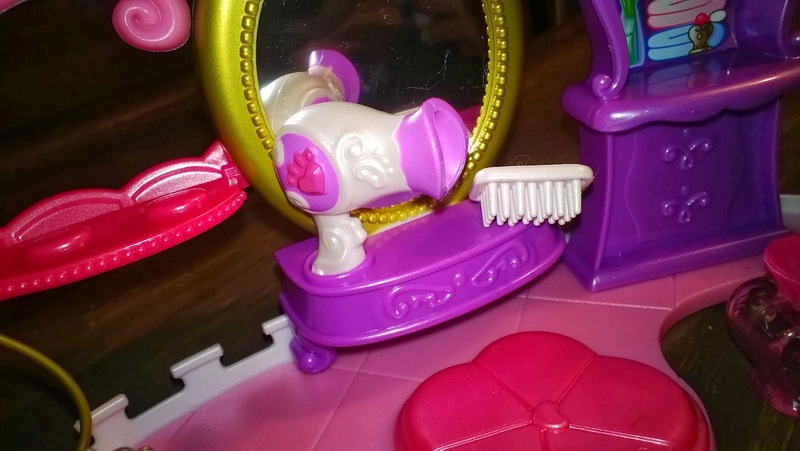 I love how the pets resemble the Princess if it be the colours, little details on the tiaras or brushes. Its pretty cool. 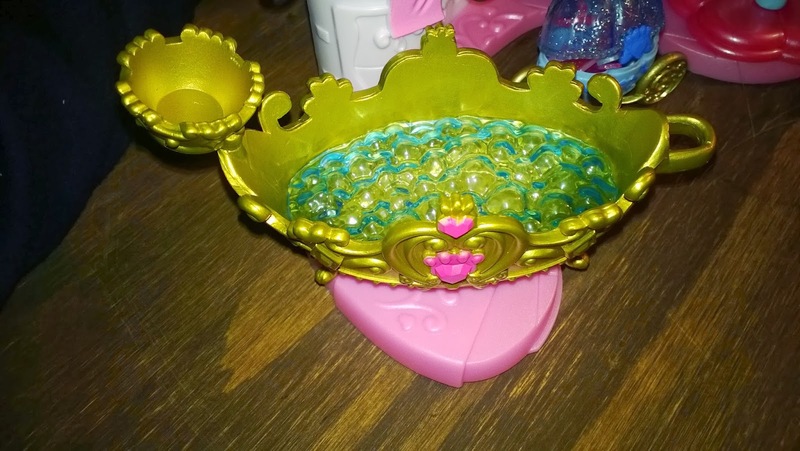 Perfect for any little girl that loves, glitter and Disney Princesses! These lovable pets are aimed at girls aged 3 - 6 years. 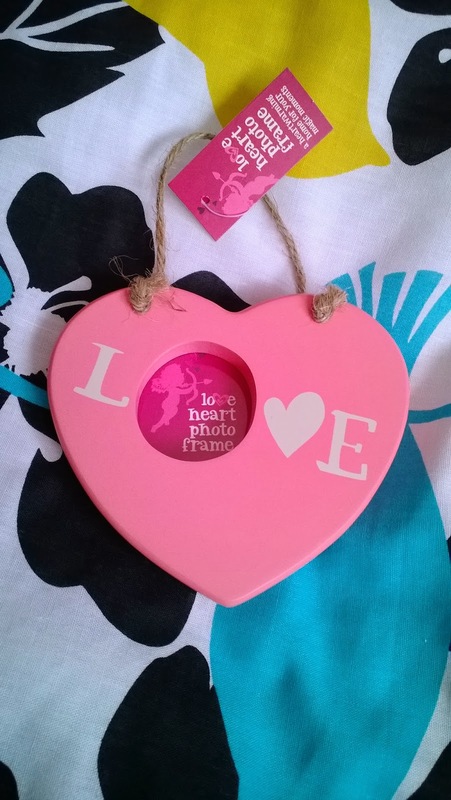 So its nearly that time where everything is plastered with hearts and its the day of luvvvvvvve! 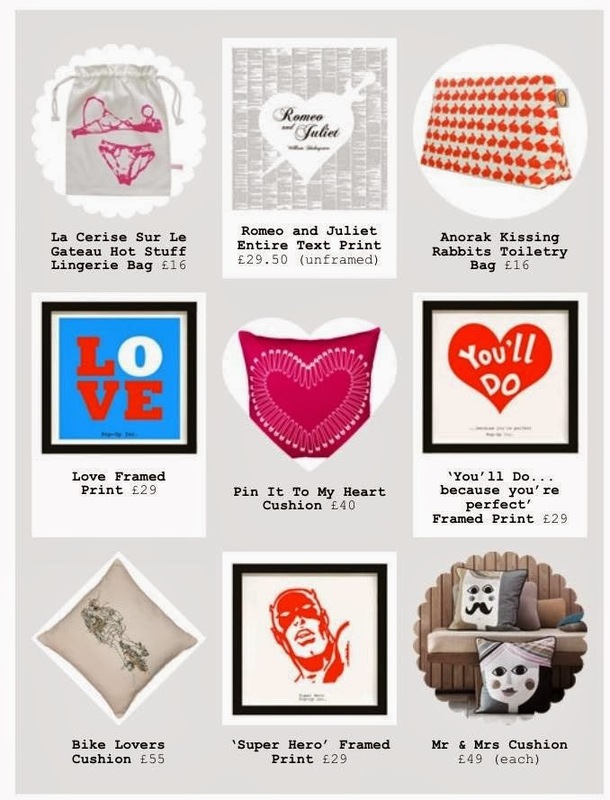 I do find valentines a tad cheesy but I also love being spoilt rotten. Hehe. I've put together a lovely idea guide from some lovely brands. 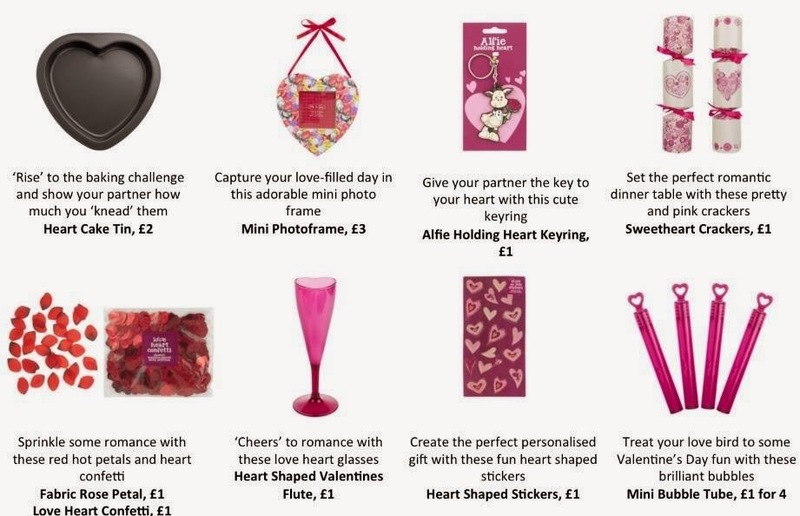 Asda have a great selection of gifts including mugs, confetti, heart egg shapers, champagne and even a personalised gifting range. we received some super cute items to test out. 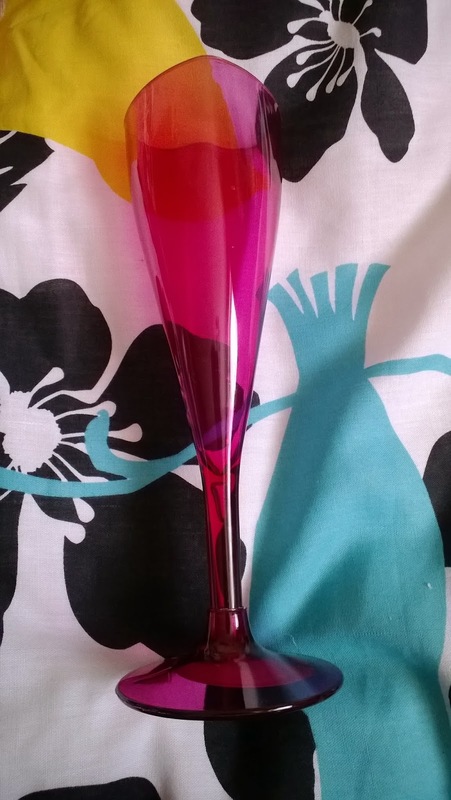 First up is this cute heart champagne glass. 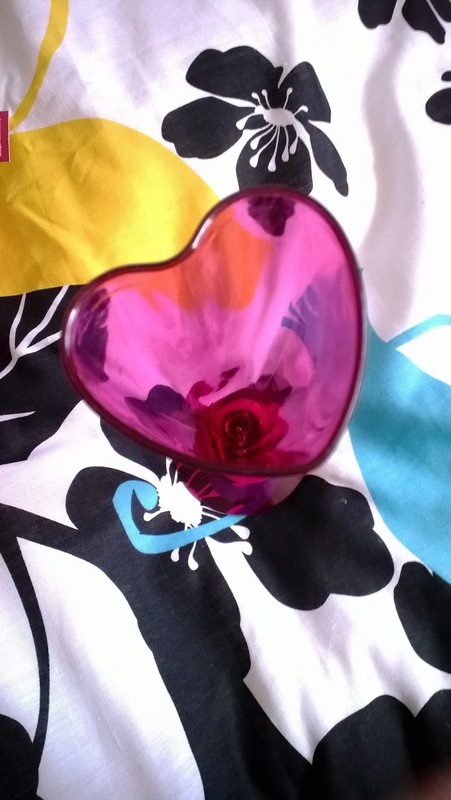 There plastic so they are good if you ever drop them or great for little hands as my 2 year old daughter has insisted that its now her cup to drink from. These are priced at a £1 each which is fantastic value. Here are some of the perfect gifts to celebrate with your loved ones this year. Next up is Tesco, which have also been busy too. 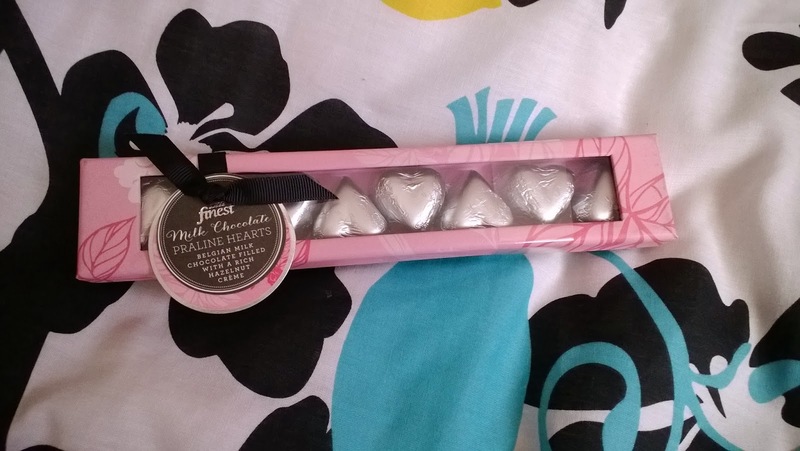 We received some gorgeous tesco finest heart shaped praline chocolates. The box is lovely and decorated very pretty. 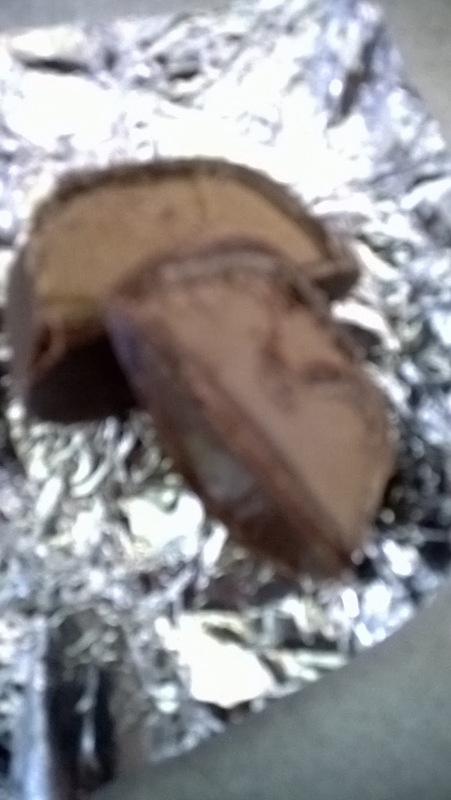 Inside are little hearts wrapped in silver, inside is a smooth praline centre and they was amazing. 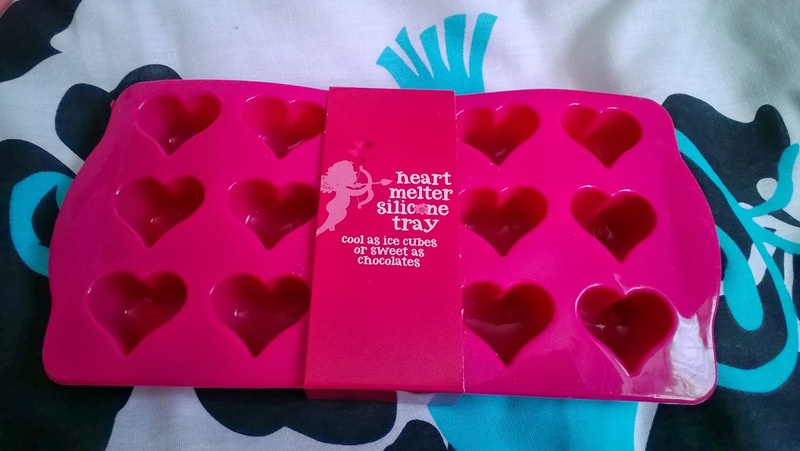 They are perfect if your other half is trying to watch the waistline and are priced at just £3. There is also a selection of there finest chocolates ranging up to £10. 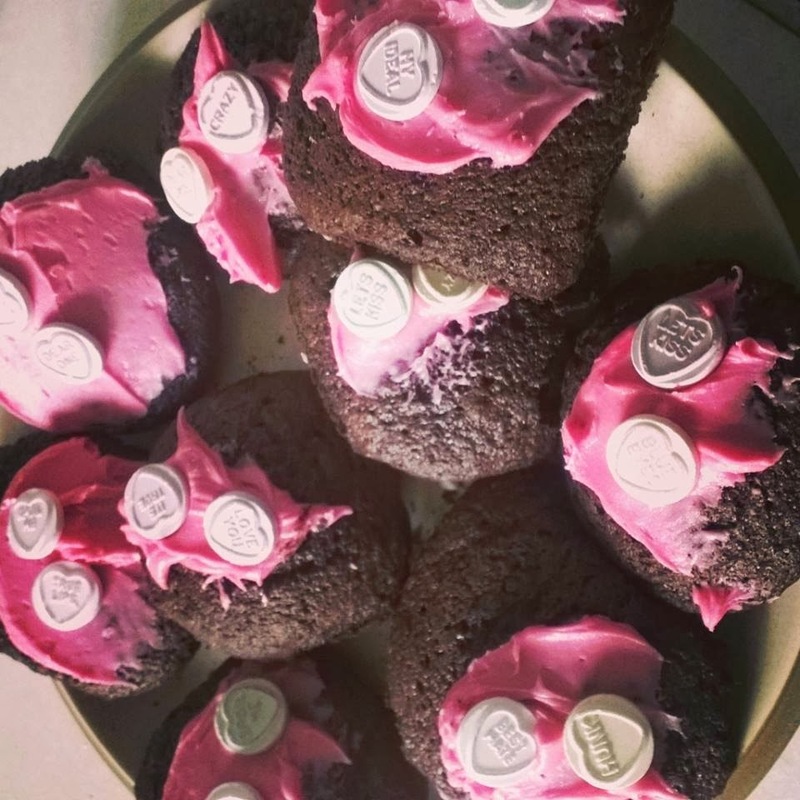 Or perhaps a yummy treat may win over your valentine from an individual be my valentines cupcake £1 or a gift sized valentines sweetheart cupcake £3. For something for indulgent they have a finest Belgium chocolate cake £6. You can wash it down with a bottle of finest premier Cru champagne £19.99. For some super special awwww gifts, they have this stunning teddy bear priced at £5 and these amazing cushions which are super cute priced at £12 each. 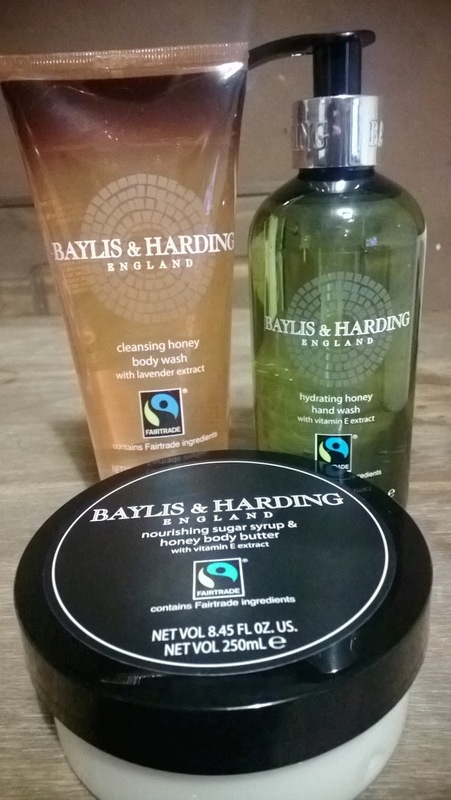 Baylis & Harding has a range of luxury, affordable beauty collections that are sure to get the romance rolling. A lovely gift set is always a winner for me. The Strawberries & Cream Collection is an indulgent range of British beauty gifts, appropriately packaged in pretty silver and pink love hearts and scrumptiously scented with Strawberry and Cream. 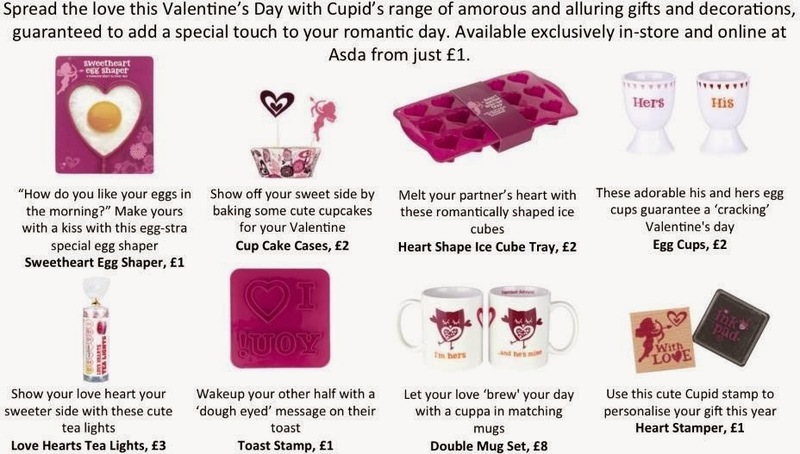 A delightful gift range for your special sweetheart! This cool and contemporary toiletry collection oozes a fresh fragrance of Citrus Lime and Mint. A zesty way to say I love you to that magnificent man in your life. 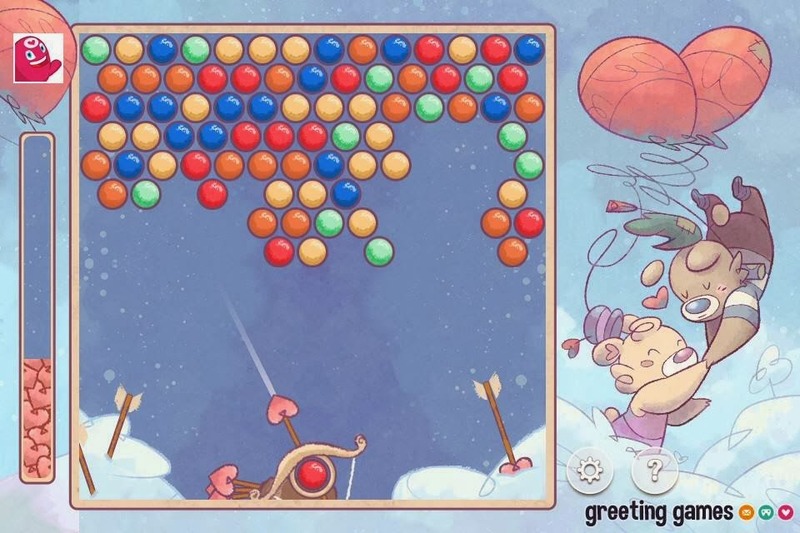 Greeting Games - have launched a new concept in greeting cards, basically a digital greeting card combined with a casual game. It's a really fun way to send eCards to people, and the brilliant thing is it works on smartphones as it's not Flash-based. 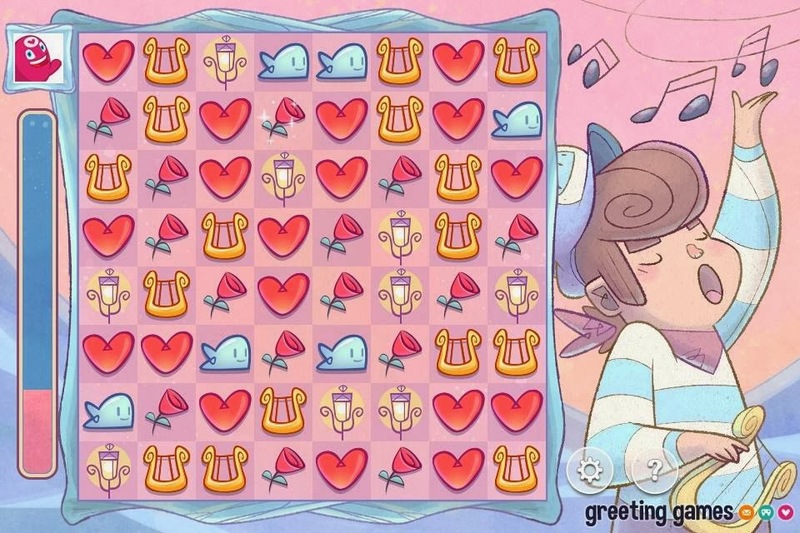 As the sender, you get to choose the occasion, choose the game and then tweak various options including adding a personal message to the recipient. What a fab and very 2014 way of sending a special card to someone you love. 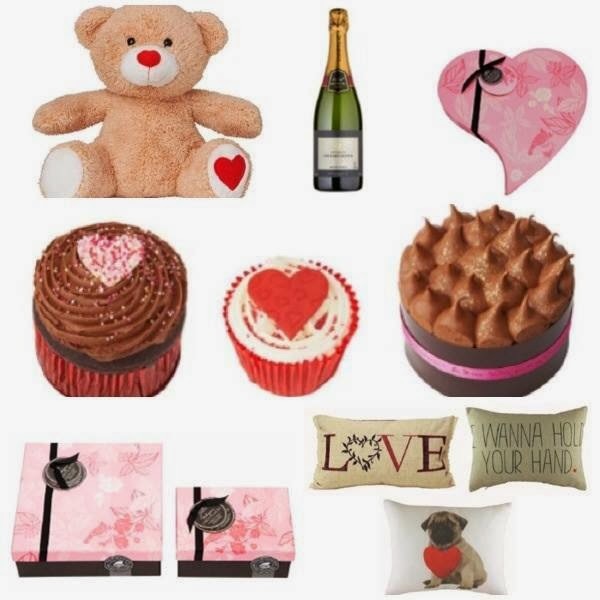 Take the stress out of Valentine’s Day with a few sweet treats from Home Candy the new, quality, contemporary homewares brand with a playful design twist. 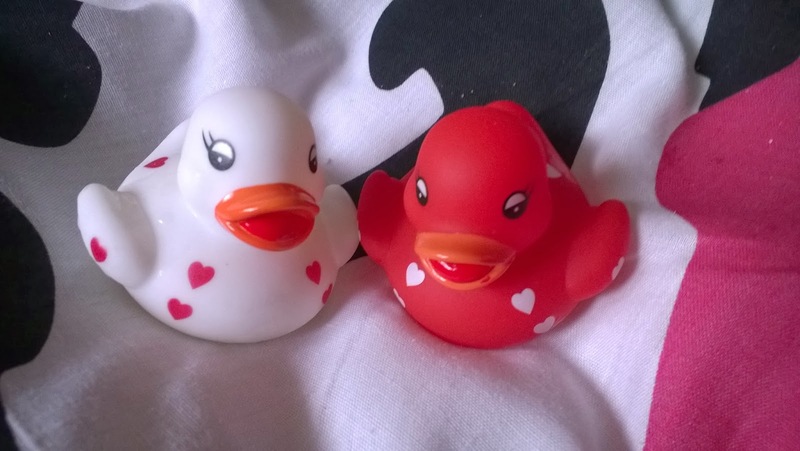 On our shopping trip we found these amazing cute heart ducks which was only a £1 for the two from The Card Factory.